Went out for an early morning run a couple of weeks ago and came back with this one. I took the shots and then moved on because I was actually after something else but after I got home and stitched it I had a look and thought I should have stayed around a bit longer and got a few different angles and compositions. I have a couple more but they are from pretty much the same angle. I’ll wait for the next foggy morning and revisit here I think. I haven’t put much time into processing this ( I’m a minimalist ) So any ideas on different processing are welcome. I was lucky enough to go up on top of the Central Park building in Perth the other day. I was up there for a while but the building manager was not keen on me going over to close to the sides with a camera, something about loose objects and them falling, as if I was going to let my 5d mk2 go, but anyway I talked him around and got a few seconds at the edge and snapped this hand held in a hurry. I was actually quite happy to come back from the side as it made me a bit weak in the knees, it’s a bloody long way down and I started to think of buildings falling over and aeroplanes and all sorts of things. There’s not much of an edge on top , a bit below waist height and no railing. PT GUI made a good job of stitching this as the boats were moving but you can’t see any bad stitch’s, well I hope you can’t, I didn’t study it closely but it look’s pretty good at a glance. And yes the horizon is a bit off and I could have straightened it but well…………..
Its been a dry argument so far this year with only light rains recorded so far this season. The crop has been seeded but rain is badly needed to keep things going and to get the grain crops on their way. Some parts of the state have faired better than others so far but a good general soaking rain is whats required. I snapped this last week when rain looked promising but while this looks good it really came to nothing just a few mls. Hopefully it will come sooner rather than later. Red Sky in the Evening…and Drama to go with it. I was in Perth Monday night so when we arrived I raced down to Cottesloe Beach but I was a bit late for the best of a really great sunset. I stuck around for a while and took a few shots here and there but missed the best of it. 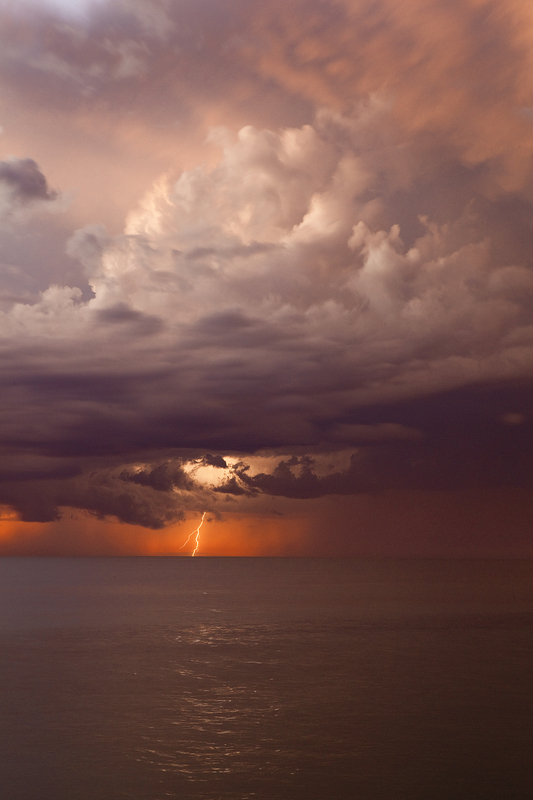 The storm was going off up in the northern beaches area then started out to sea so I kept trying for a lightning shot and this was the best that I managed before the storm eased off and it got dark. Every time the shutter closed the lighting struck but I thought this wasn’t to bad really. When I arrived back at the car that dreaded sinking feeling, I’d lost the keys. Oh no Sh******tttttttttt. I thought I must have lost them on the beach when I pulled the remote from my pocket and I didn’t hear them drop on the sand. I went down to the spot but no sign and the odd wave had covered where I was. I went back to the end of the groyne where I had been shooting most of the time but couldn’t see in the dark and had virtually given up.I went back to the car and rang my wife back at her sisters and she said they would come out with a torch, waste of time I said ,just come and get me and I’ll drive back home and get a spare set of keys, at least a 4 hour round trip. I went back out to the end of the groyne and borrowed a torch off the last fisherman as he was packing up and thought I’d just have one quick look on the off chance but didn’t hold any hope. I had a quick look around but nothing, where do you look really, amongst all the rock and dark holes.I turned to climb off the rocks and just pointed the torch down and there they were , about 2 feet down in a gap and sitting on a ledge. I laid down and reached in and picked them up, that feeling of relief is overwhelming. Bloody hell…the things that happen and just to get one half decent shot from about 150. And bloody hell again….. I’ve posted something nearly as long as Flemmings.